Aligning to the new quarterly cadence has helped us to respond faster to the needs of the market and deliver greater value to you, our customers and partners. You can engage with Ivanti and see your contributions and feedback (click on “Ideas” here) influencing our product development on a faster time scale than with our previous release model. This blog post is simply an update on that release schedule, and a recap of what we have released so far. Once a year, usually in the second quarter, we will make available a major release which will be named with the year number and “.1”. This will contain all the features introduced in the previous minor feature updates, as well as additional content that requires a longer development path. Twice a year we will release Service Updates (also known as Service Packs) which will contain a rollup of any hotfixes in the previous quarter. 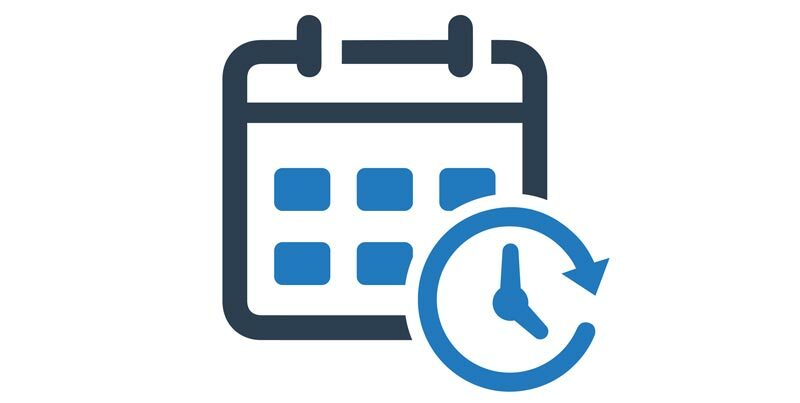 In addition, once a year, usually in the fourth quarter, we will release a minor feature update which will contain a combination of improvements over the previous major release, enhancements requested by customers, new features, and advancements of existing features. The nature of changes will determine if the minor feature update will be delivered as a MSI or MSP. This release will be named with the year number and “.3” indicating that development work is usually completed during the 3rd quarter. As you can see in the timeline chart below, June 2018 saw our first major release using a new naming convention. The June release is versioned as User Workspace Manager 2018.1. After every feature update is completed by our Engineering team, we then enter a short period of Field Test with select customers and internal production users. This involves a live upgrade on a customer site so that we can catch any issues that only manifest themselves in production environments. Once we have fixed any issues that arise, the release will then go forward for General Availability download on the Ivanti community site. 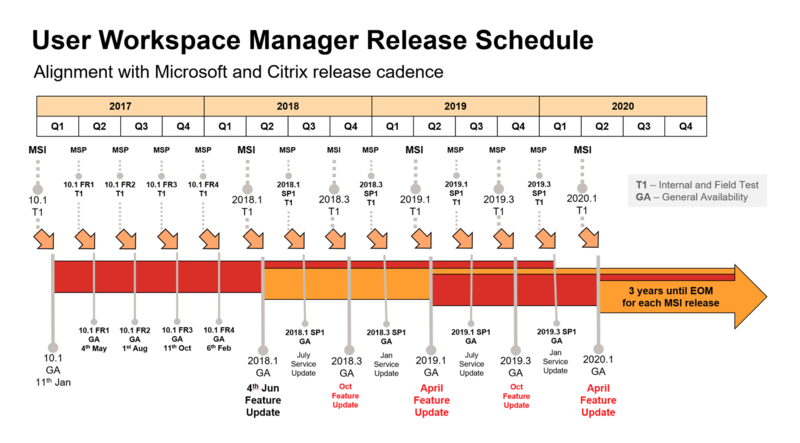 Customers who don’t want to take advantage of the quarterly release cycle should continue to plan their upgrades in line with the major annual releases. Each major release will be maintained for 3 years, but priority for updates and hotfixes will be given to the most recent releases. The information provided above is for informational purposes only and is not a commitment, promise or legal obligation to deliver any material, code or functionality and should not be relied upon in making purchasing decisions or incorporated into any contract.